Premium wireless over-ear ANC headphones with Bang & Olufsen Signature Sound, luxurious materials and an intuitive aluminium touch interface. Move freely and experience pure music without the noise. 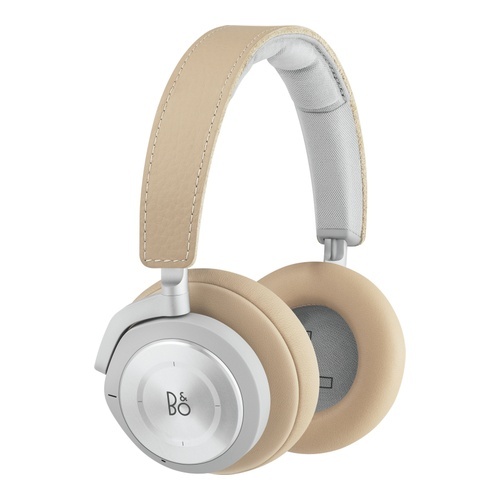 Beoplay H9i are B&O PLAY’s flagship headphones, now upgraded with enhanced sound and voice quality, a refined design and advanced features including proximity sensor and Transparency Mode so you can tune into your surroundings. The headphones have two microphones, one placed on the outside of the ear cushion and one placed on the inside, just in front of the speaker, effectively cancel out unwanted noises. Authentic materials like anodized aluminium, lambskin and cowhide leather give natural strength and comfort. And with up to 18 hours of playtime and an exchangeable battery, H9i lets you enjoy your music on-the-go for longer. Premium wireless over-ear ANC headphones with Bang & Olufsen Signature Sound, luxurious materials and an intuitive aluminium touch interface. Move freely and experience pure music without the noise.